A Forbes Top 20 "Social Media Influencer"
Glen Gilmore is a Digital Marketing and Transformation Strategist, where he has worked with global brands as a social media brand ambassador and strategist; providing Digital Marketing Strategy to Fortune 500 Companies. 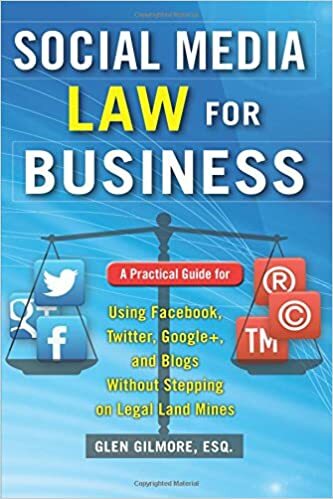 As a founding faculty member at Rutgers University School of Business Digital Marketing Executive Programs, he is an attorney who holds a Doctor of Laws, Honoris Causa and has authored "Social Media Law for Business" and is also a Contributing author of "Strategic Digital Marketing". Recognized as a Top Influencer in Digital Marketing, Emerging Tech and Travel, Glen provides consultation internationally and is a keynote speaker on New Marketing, New Tech Building Community and Activating Connections. He has chaired events from London to New York and has been featured as a keynote speaker from Istanbul to Dubai. During his time of serving as a mayor of Hamilton, New Jersey; he is called a "High Energy Mayor" by The Washington Post and has won his city a recognition of "One of the Best Places to live in America" as commended by the Money magazine. Glen was also lauded a "National Hero" by The New York Times for his leadership during America's anthrax crisis back in 2001 and was featured on Good Morning America, CNN, Fox and BCC; which lead him to being involved in developing and delivering crisis leadership training at Texas A&M University. Geno Stampora - President, Stampora Consulting Inc.
Business and Digital Marketing are being disrupted by new technologies, strategies and techniques – you must adapt to excel or stay stagnant and fail. Discover how the best brands are adapting to excel. AI, AR, Voice Tech, chat bots, and the “Internet of Things” are creating new standards, opportunities and challenges for businesses and business leaders. Learn how to leverage the latest and emerging technologies to create the extra edge for your organization. The greatest generational shift in worldwide wealth, estimated at more than 30 trillion US dollars, has occurred. What can YOU do to ensure that your marketing is aligned to your consumers? Social media marketing continues to evolve and get more complicated. Do you livestream? YouTube? Snap? Use influencers? Are you on the right social platform? Day One will help participants understand what they need to do to succeed in the Next Generation Digital Marketing. Participants will become familiar with the challenges and opportunities of new technologies and social platforms, as well as best practices & case studies that will chart a course for personal and business success. What is “Next Generation Digital Marketing”? What makes Uber and Airbnb so successful? The new demographics: What matters to Gen X, Y and Z - matters to your success! Connecting with Gen X…Gen Y…Gen Z…and Gen ? Artificial Intelligence in Marketing: Where to begin? What social platforms matter most? Do we tweet? Snap? Instagram? Livestream? Blog? What’s more important: “Likes” or “followers” or..? Dashboards: Do you need the bells and whistles? Day Two will provide participants with an even deeper understanding of key strategies and techniques for success in Next Generation Digital Marketing. The focus on this day is Content Marketing, Influencer Marketing & Crisis Management in Social Media. What is paid advertising in social media? When should you use paid advertising in social media? How should you use paid advertising in social media?